She's high spirited, fearlessly reckless, and queen of being spontaneous. He's maleficent, selfish, callous, and a sinister gang leader. Put the two together? Hell on earth. No one has dared tested his authority. Until she came along. He's the epitome of danger. And danger is appealing. Especially to those with nothing to lose. ...................................................................... At a young age, he had to do something that completely stripped him of a normal childhood and changed him for life. He'd given up any personal contact, meaning his family and friends and scoffed at the idea of a girlfriend. He'd grown cold to the core and grew to be the strongest man he could be, and led the worlds strongest gang. Her entire existence was built in the shadows, never being able to play and act like a normal girl just like her classmates. Instead while they caught a football and danced, she fought relentlessly and tried to escape the grasps of her foster father. While the others showed off their bodies, she had to learn to cope with the scars that covered her from head to toe. When they returned to their mothers care, her sisters regained normality, she was left with trust issues, PTSD, and a desire to be normal. But she'd never be normal. She was the leader of New York's second strongest gangs' daughter. Just a week after moving to New York to be closer to her father, her life had been completely turned upside down when she laid eyes on Asher Storms. New York's youngest, and most vile gang leader to walk the streets. And her life did not change for the better. Everyone wants a piece of the gang leaders new girl. Even if that means going to extreme lengths to get what they want. 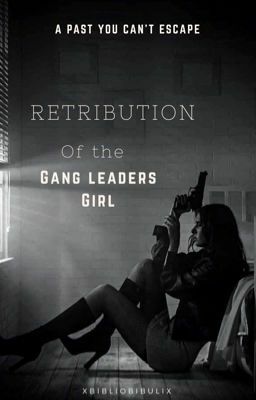 This is the story of retribution against the gang leaders new girl; Noah Carson. • • • I am not the rightful owner of every word in here! A lot of songs, poem references etc. were made in this book! Credit goes to rightful owners !